This is a really interesting novel about a teenage boy with an eating disorder only he thinks that by starving he has super powers and he needs super powers so he can solve the mystery of his sister leaving town and otherwise hold his world together. The writing is great and the protagonist is really compelling. There is also a warm, complicated love story at the heart of this. I would have loved seeing more of that. I mostly wondered about the narrative frame which is the narrator creating a manual on the art of starving. I’m not sure that frame was necessary and at times it got in the way. Nonetheless this is a really necessary, beautifully rendered story. Highly recommend. 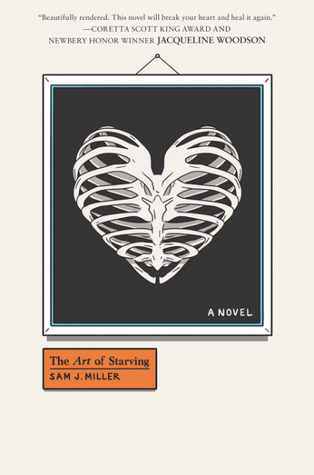 Sign into Goodreads to see if any of your friends have read The Art of Starving. I also think this book is really necessary and sweet, but was trying to pinpoint what exactly bugged me about the plot of this book and I agree--I think the frame gets in the way.